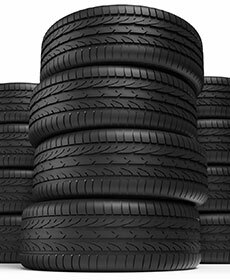 Save some money with this fantastic offer of buying 3 tires and getting the 4th tire for $1.00! The wet weather is on its way and this opportunity to save on one of the most essential safety items for your vehicle is a don't miss opportunity! Mazda Vehicles Only with eligible tires. Please call to verify your vehicle qualifies. Mount and Balance is Not Included in this offer. Coupon not valid with any other offer. Must present coupon at time of purchase. Limit one coupon per person. Coupon does not apply to prior purchases. Other Restrictions may apply. Void where prohibited. Plus applicable taxes. Valid only at ROYAL MOORE MAZDA. Cannot be used with any other applicable offer. Mazda vehicles only. Prices may vary by model. Hazardous waste fee if applicable. Please present coupon at time of write-up. Coupon expires 07/07/2019. Help your Mazda fit into your lifestyle. Recommended every 12 to 24 months.